I have lived in the Bay Area since 1979. 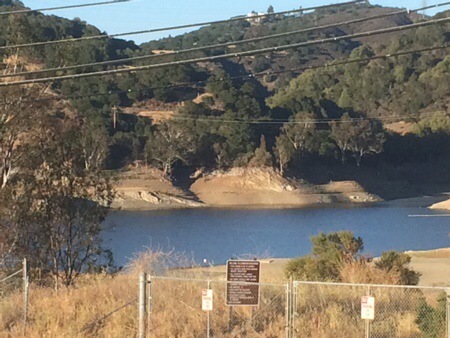 I have never personally seen the Lexington Reservoir off Highway 17 near Los Gatos as low as it is currently, although historically it has been lower both due to construction and previous droughts. The East side is currently at 18.1% of capacity. 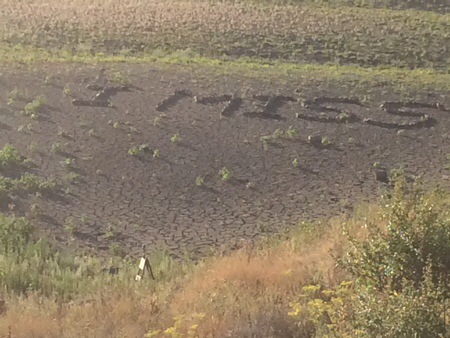 Someone has started an art project in the lake bed. Or finished one, I’m not sure which. 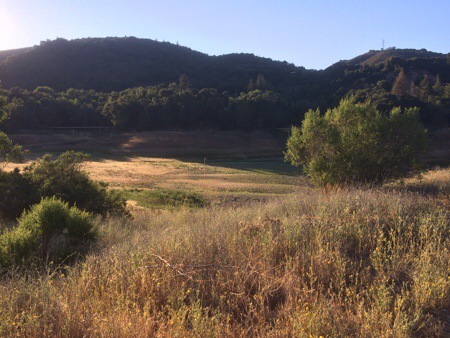 I’ve heard news reports that water boards across the state aren’t setting penalties for wasting water — because when water usage is reduced, they lose money. At my house, we’re flushing less, trying to reduce bath water use, and not watering the lawn at all. I wonder what more we can do.